While food trucks have taken the streets of Jacksonville by storm, a new kind of mobile kitchen launches in North Florida. 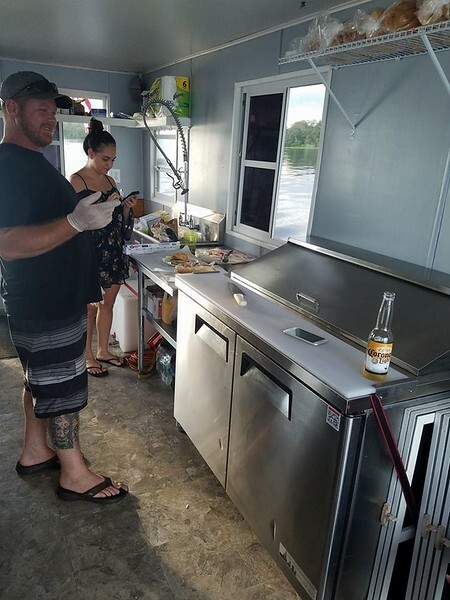 Jesse and Laura Dowling got the idea to start a food boat while grilling up burgers on a boat during Labor Day Weekend in 2014. 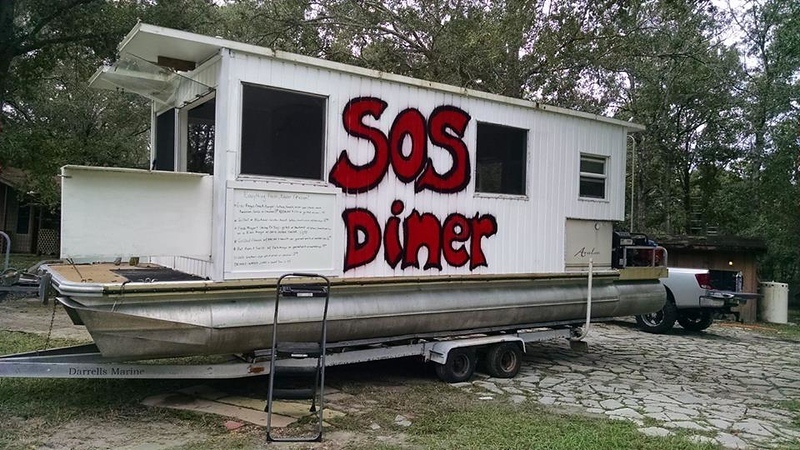 After that weekend the couple made the plunge into the mobile food industry, albeit in a more ‘traditional’ manner by opening a food truck called S.O.S. Diner. S.O.S. Diner primarily operated in the St Augustine area for three years, becoming a mainstay at Mile Marker Brewing (later Ancient City Brewing). S.O.S. Diner developed a following by offering a down-home-cooking, comfort food favourites such as loaded burgers, bacon-wrapped meatloaf sandwiches, a fresh catch fish sandwich and crispy queso fries. The truck ceased operations in 2016. 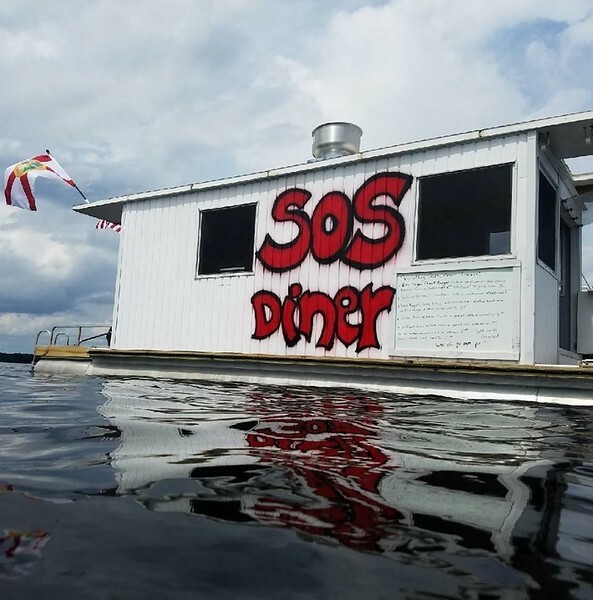 But the lure of cooking on the open water always beckoned, and this summer the Dowlings teamed up with long-time friend Mitchell Cunningham to finally open S.O.S. Diner food boat. 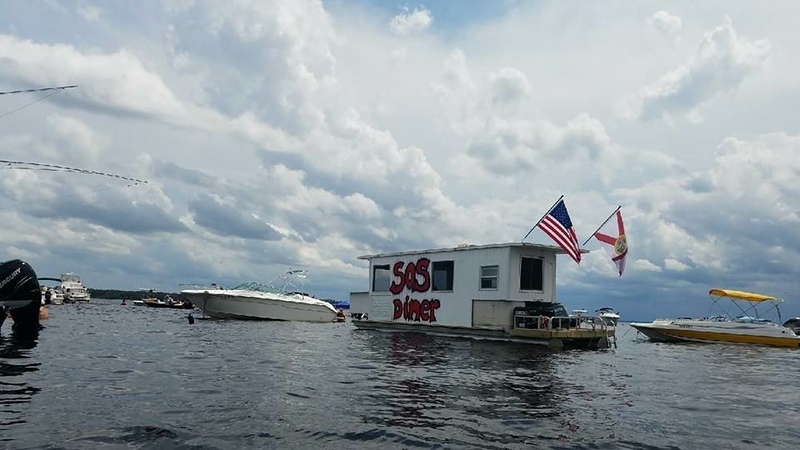 The boat operates on the weekend, primarily at the Bayard sandbar (south of the Shands Bridge), and is also available for private dock party caterings. The ‘crew’ aboard the S.O.S. Diner Food Boat. Gilligan, Ginger and Mary Ann not pictured. Food boats aren’t as common as their food truck mobile cousins, however in Florida several such vessels operate in popular recreational boating areas like Destin and Miami. Florida’s Department of Business and Professional Regulation (DBPR) administers the licensing of Mobile Food Dispensing Vehicles (MFDV) throughout the state. 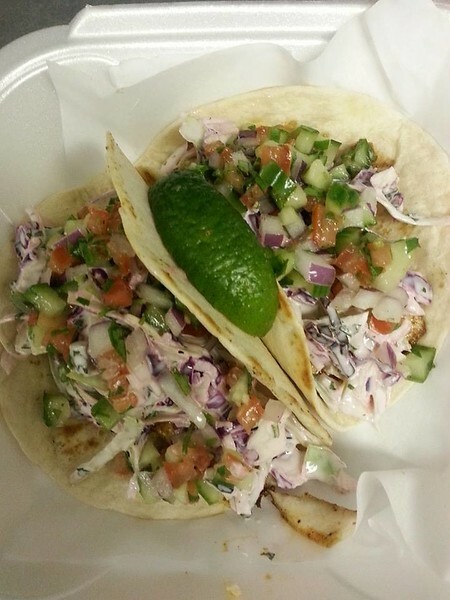 The MFDV is a vehicle mounted food service license that governs the operation of food trucks. Food boats also fall under this category, and through a quirky wrinkle do not require any extra layers of licensing- the only mobility requirement in MFDV regulations state that the vehicle can be moved at all times. With the use of a trailer, a food boat can be moved on both land and water, thereby satisfying the MFDV ‘mobility’ requirement.